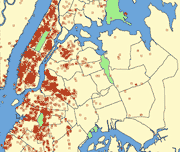 The New York metro area has the worst infestation in the United States, with over 4000 bed bug reports. San Francisco has about 450 reports, concentrated in the Tenderloin district. Los Angeles has 403 reports. 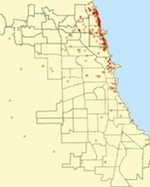 Chicago has nearly 500 bed bug reports. Toronto is the bed bug capital of Canada, with 2270 reports. 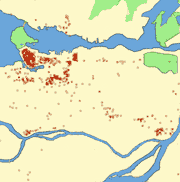 Vancouver has just over 2000 reports, many of them in the city's West End. Site content © 2006-2019 Maciej Ceglowski <[email protected]edbugregistry.com>. Posts are solely the responsibility of their respective authors.